Finding The Right Influencer Is Hard. Review your Vital Statistics to get started! Log-in to access your dashboard(s). Touchstorm’s Influencer Research / Hiring is the biggest advancement in influencer campaigns since social media talent became a marketing option. We should know. We’ve been sourcing and negotiating social media talent for our clients for more than a decade. So we know just how complicated and time-consuming it can be. There are thousands of spokespeople and datapoints to consider. The process deserves rigor. Many brands buy social media influencers through Multi-Channel Networks. They think it gives them access to a wide and deep pool of talent. And many influencers join an MCN thinking it’s the only way to gain access to a wide range of brands. What is true is that MCNs – by deﬁnition – can only bring brands the talent that’s available in their pool. What’s also true is that MCNs have bias toward certain top influencers they need to appease, so their objectives don’t always align with a brand’s. For both talent and brands, it’s a walled garden where pricing and results don’t always work in either one’s favor. Touchstorm’s Influencer Research / Hiring: the smart way for brands and talent to find each other. clients and influencer choices come together. We work with ALL talent. Yes, including those associated with an MCN, influencers with management representation, and rising stars managing their own trajectory. With our VideoAmigo SaaS (Software as a Solution) platform, we access a broad spectrum of influencers bidding for your business and a wide range of global clients seeking your talent. We’ve opened up the marketplace so it works for everyone. Touchstorm added science to the art. 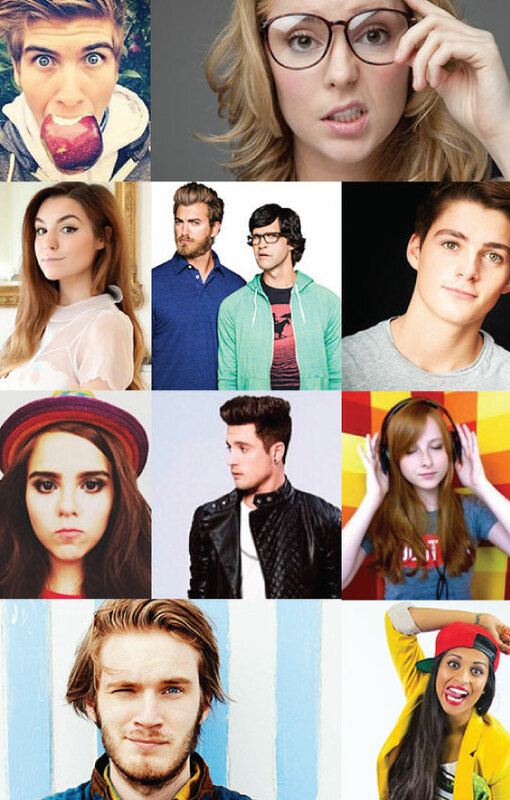 The Touchstorm Video Index is the most expansive catalog of Social Media Stars. We organize talent by topic and track performance and engagement metrics. Then we use our own VideoAmigo software to analyze 12 quantitative and 3 qualitative datapoints to reveal the right roster of influencers that will deliver an always-on campaign. So if you want German-speaking, Gibraltar-based, ginger-haired, geriatric talent that specializes in juggling jars of jelly beans, we can tell you exactly who they are, whether they are worth buying, and what creative approach will do best on their channel. And if YOU are a German-speaking, Gibraltar-based, ginger-haired, geriatric talent that specializes in juggling jars of jelly beans, we’ll connect you with the right brand(s) and make sure that you are paid what you are worth. Touchstorm’s Influencer Research / Hiring shows you who to partner with, how many influencers should participate in a campaign, and the right amount to pay. And if you want it turnkey, we execute, too. Are you an Influencer looking to be hired? Head to our VideoAmigo platform and use our FREE tools to grow your channel and track your progress. VideoAmigo is the world’s largest YouTube database outside of YouTube itself where we’re tracking more than 135 million YouTube channels and over 1.3 billion videos. Make sure your channel is included. It’s how we discover the right Influencers to hire for brand clients. Help my brand find the right influencers!